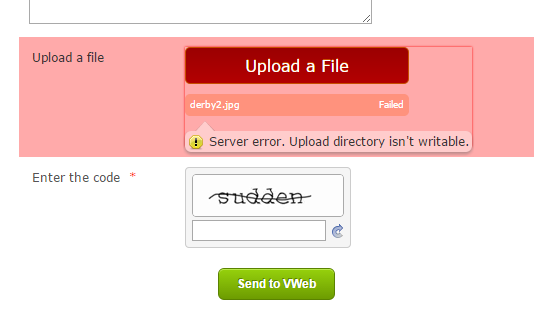 Tried to add the dropbox integration and kept getting the error "Server error. Upload directory isn't writable." when submitting a form. I turned the integration off, but still get the error. I cleared the cache on the form and in my browser, but still have an error. I am able to recreate the error and will now raise this to our developers. They will take a look at what might be going on and will update you through this thread as soon as the issue is resolved for you. We sincerely apologize for the inconvenience this caused you. The issue was caused by a full server Hard Disk on our side, which has since been resolved. We tested your form, and it looks good on our end - files are now uploading normally.